I’m a bouncer. 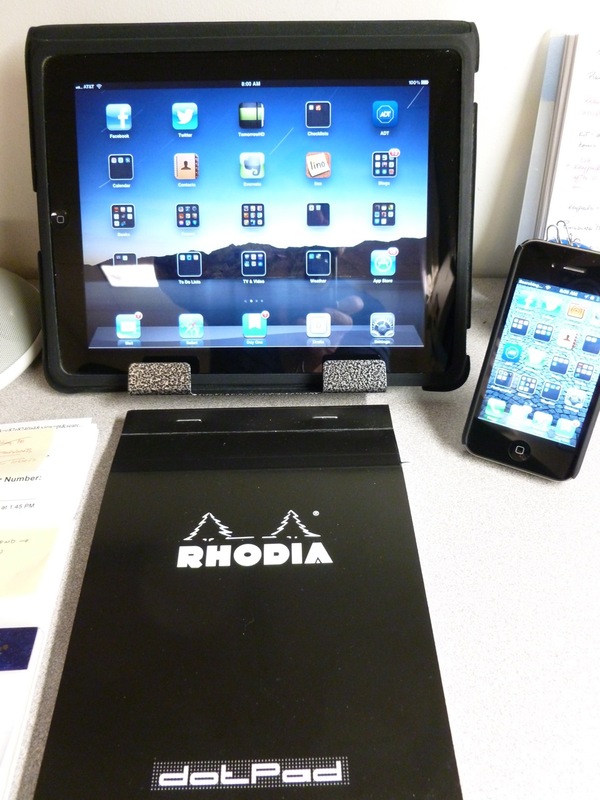 All day long I hop between digital devices and applications (Clear, Evernote, Day One, Twitter, email) and my favorite paper products (Field Notes, Frictionless Capture Cards, Rhodia dotPads, and plain old scrap paper). 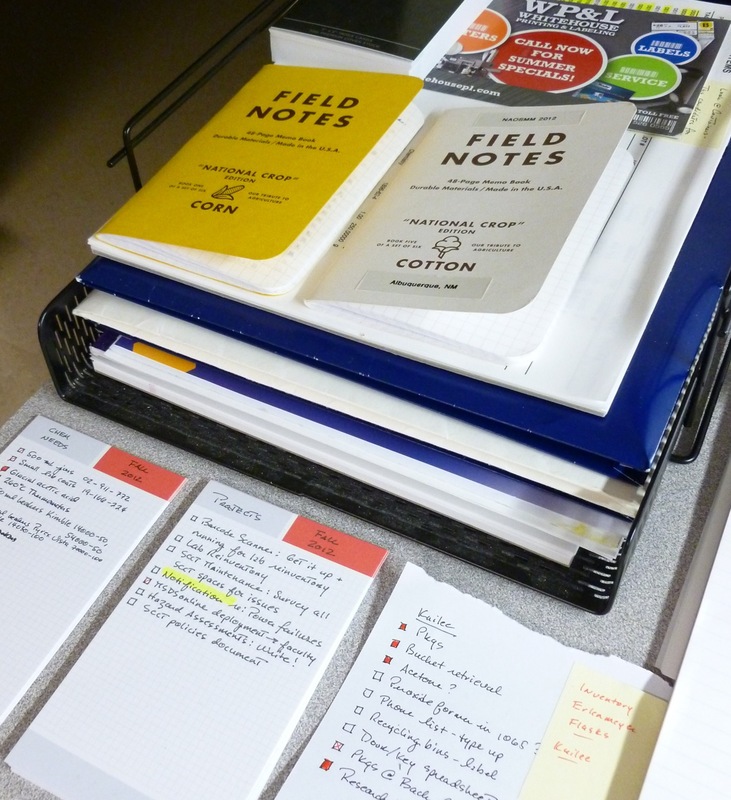 I keep “on the fly” notes in both places…in the Clear app on my iPhone, and on paper, depending on where I am when the mood or need strikes. I love the feel of pen on paper as much as I enjoy fiddling around with iPad and iPhone apps. Evernote is, ultimately, the place where I bring all all of my lists and tasks and brainstorming together. Everything syncs and I feel calm. Calmish. I feel calmish. So. Yeah. Like so many of us, I’m a fan of digital AND analog tools. Apps and paper. Pens and styluses (stylii?). Which is where the Monteverde Invincia Stylus comes in. 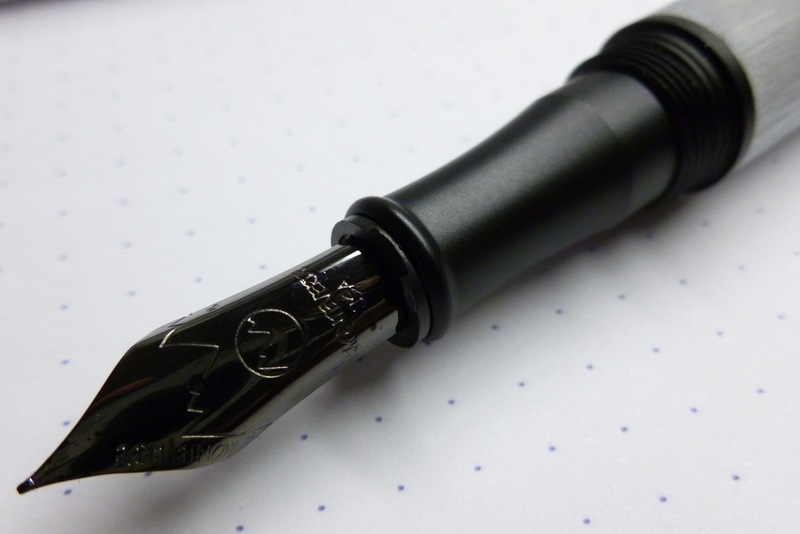 Sweet fountain pen on one end, high quality stylus on the other. I can write a letter with the pen, then poke around on my iPad with the stylus. One tool for both worlds. Happy Mary. As I mentioned in my handwritten review, the stylus works very well on my iDevices. I’ve found using a few other styluses to be frustrating. Usually they’re too mushy and I end up having to tap the screen repeatedly to get a response. At that point, I go back to using my finger. 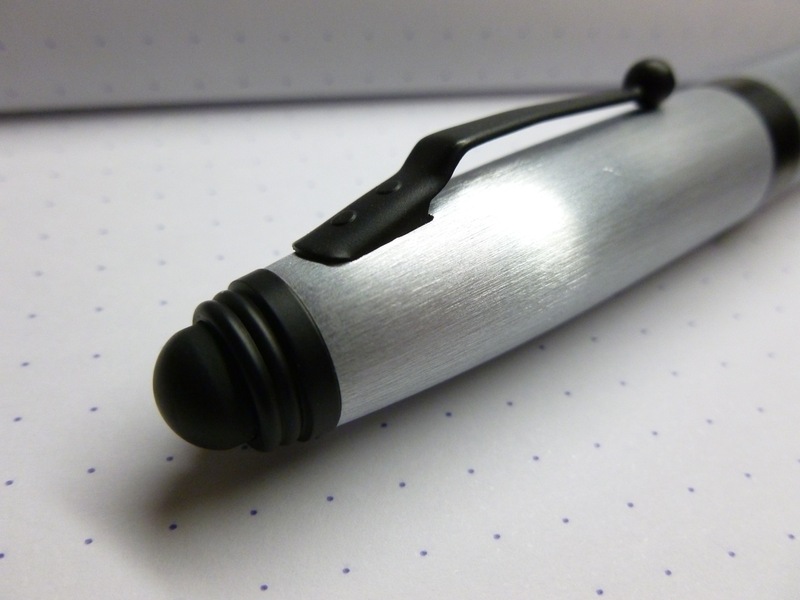 But the response from the Monteverde stylus has been great, probably because it has a “fingerlike” firmness. I’m really impressed with how well it functions. This is not a “novelty” stylus. 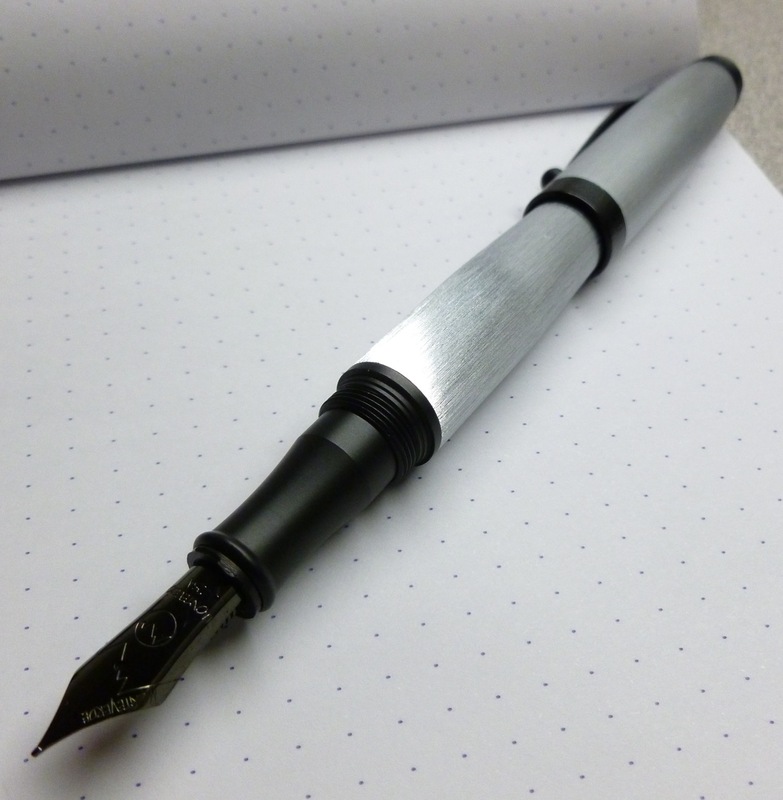 The nib is a bit oversized, which I enjoy. The dark nib and black matte accents look great against the matte chrome finish of the body. In the right light, this thing SHINES. And it writes great. No scratchiness. No drag. 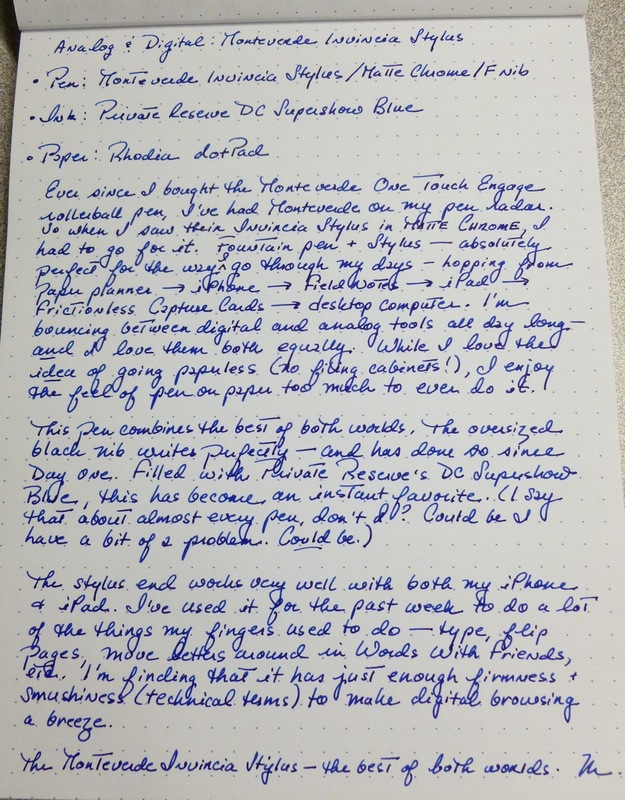 Filled with Private Reserve’s DC Supershow Blue, I’m finding this pen to be one that I make excuses to use. Just an all around fun package.